Imported double-layer pressure and high temperature resistance thermal insulation plates reduce 40% energy consumption, better energy saving performance. Mold plates design based on finite-element analysis, make sure minimum deformation. 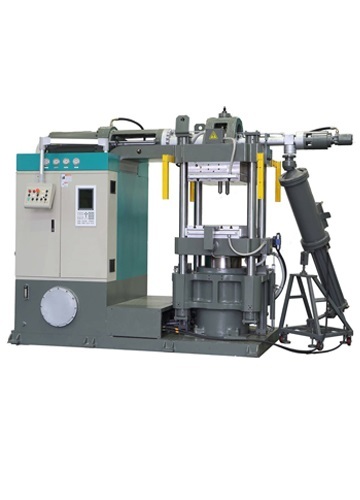 Designing and optimizing of the plasticization system and injection system are leaded by German engineers, enable the screw better delivering capacity, more reasonable homogenization ability and better degasing performance. Huge injection volume and lower machine height based on horizontal injection system. Multi-cavities cold runner block reduces material wasting, improve production efficiency. Close-loop temperature control, to control the temperature difference within ±1°C, achieve uniform vulcanization. Advanced German proportional flow valve, pressure control valve, hydraulic valve, American high-pressure endurable vane pump. Interfere-free manual and automatic control,. Some of the operations can be done manually under automatic mode. With one operation case on the work station, convenient for on spot operation.